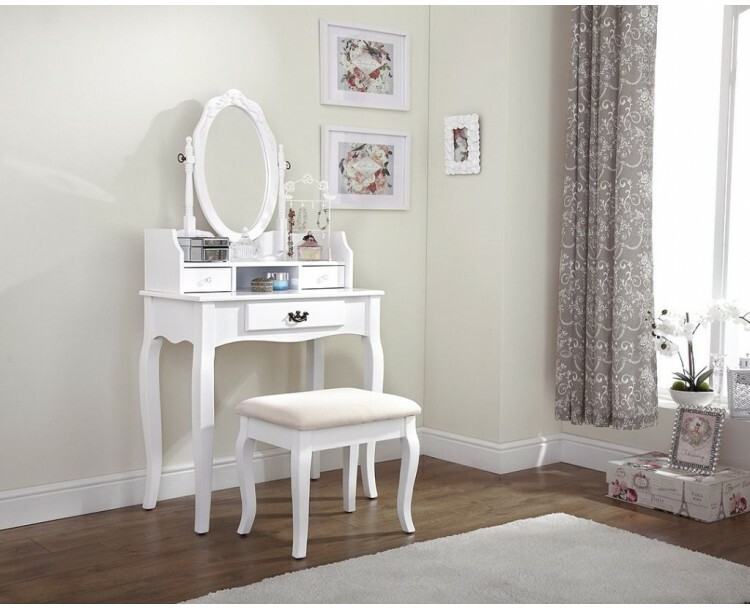 This antique style Lumberton Dressing Table is constructed from a combination of solid pine wood and MDF which is painted in a white finish. 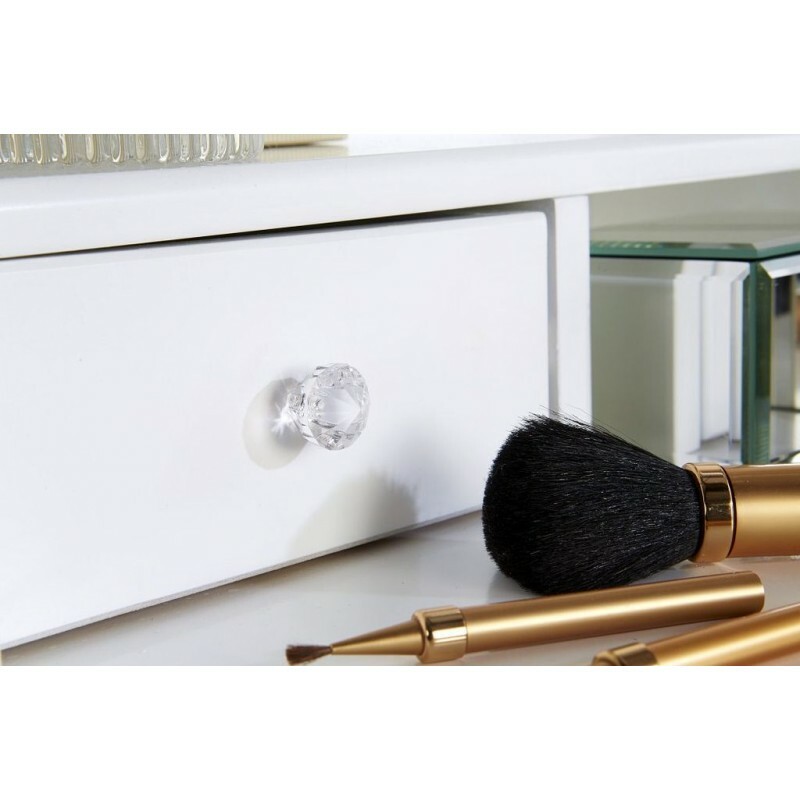 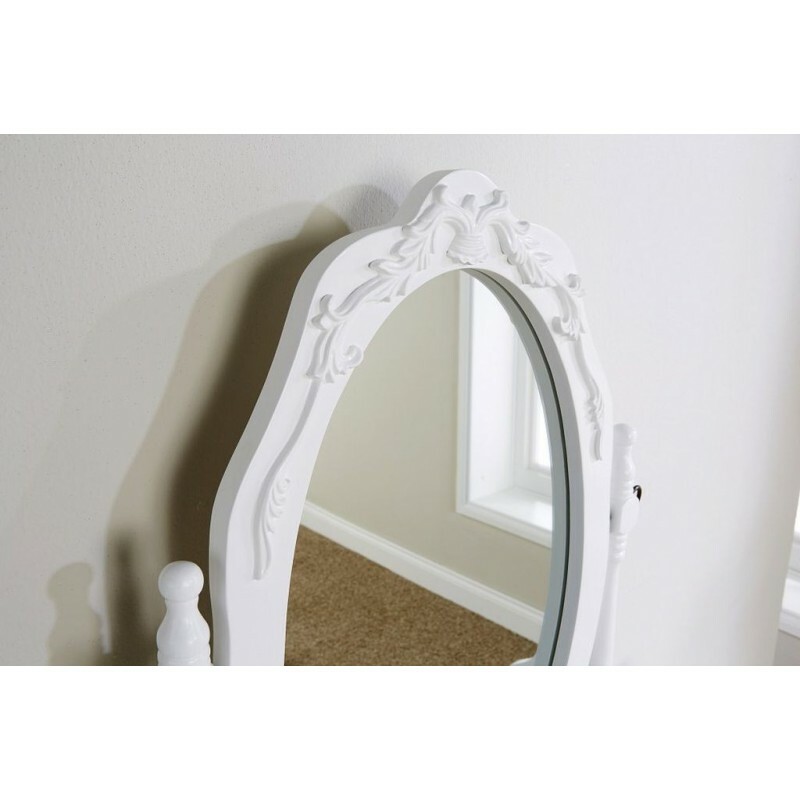 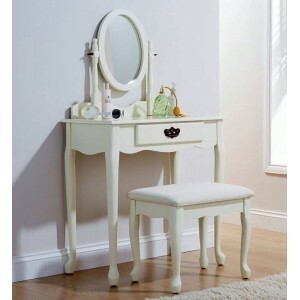 The dressing table has one large drawer and two smaller drawers on the raised area below the adjustable oval mirror, with an antiqued handle on the larger drawer and crystal look handles on the two smaller drawers. 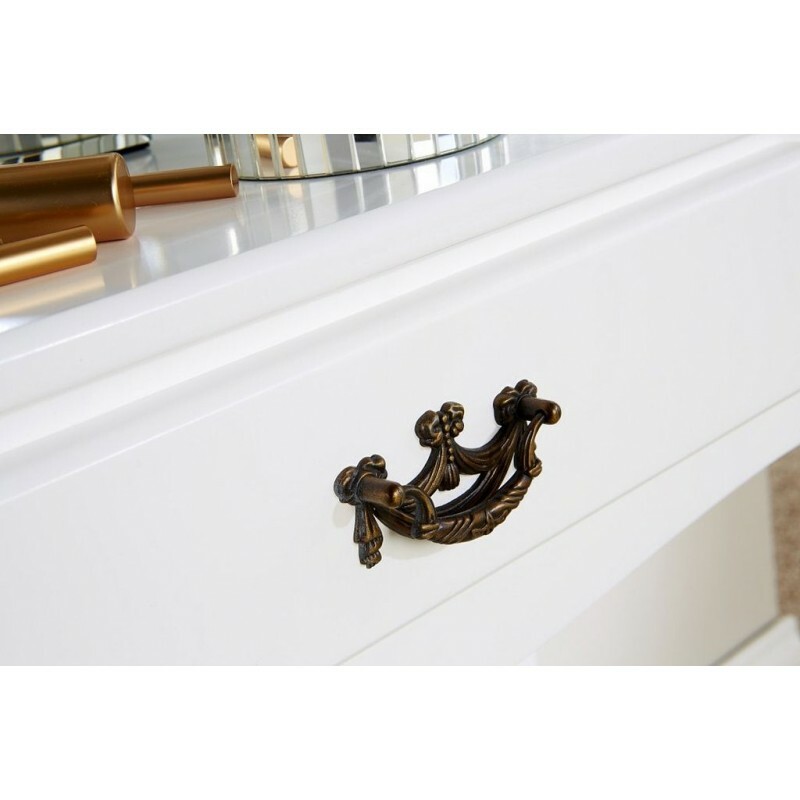 The drawers are on wooden runners and are also available in Black finish. 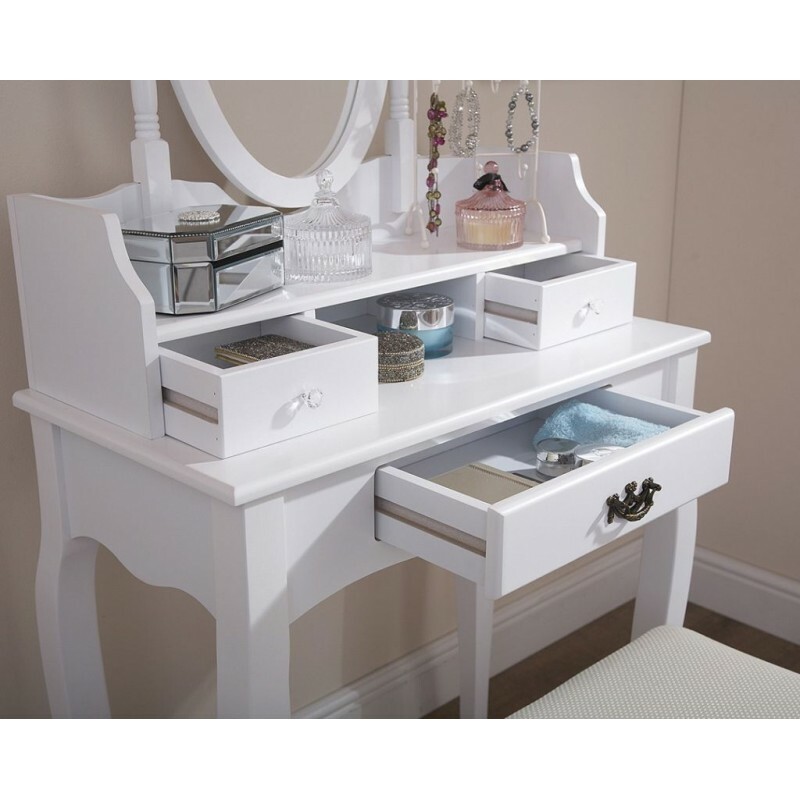 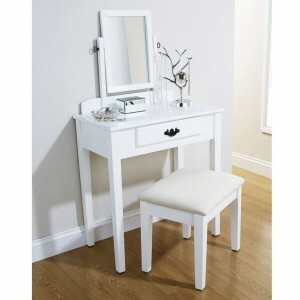 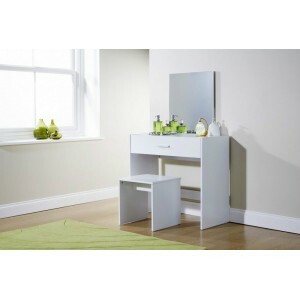 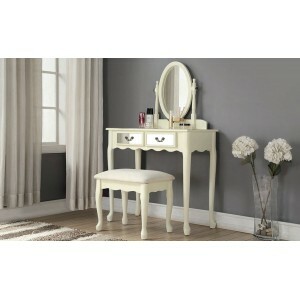 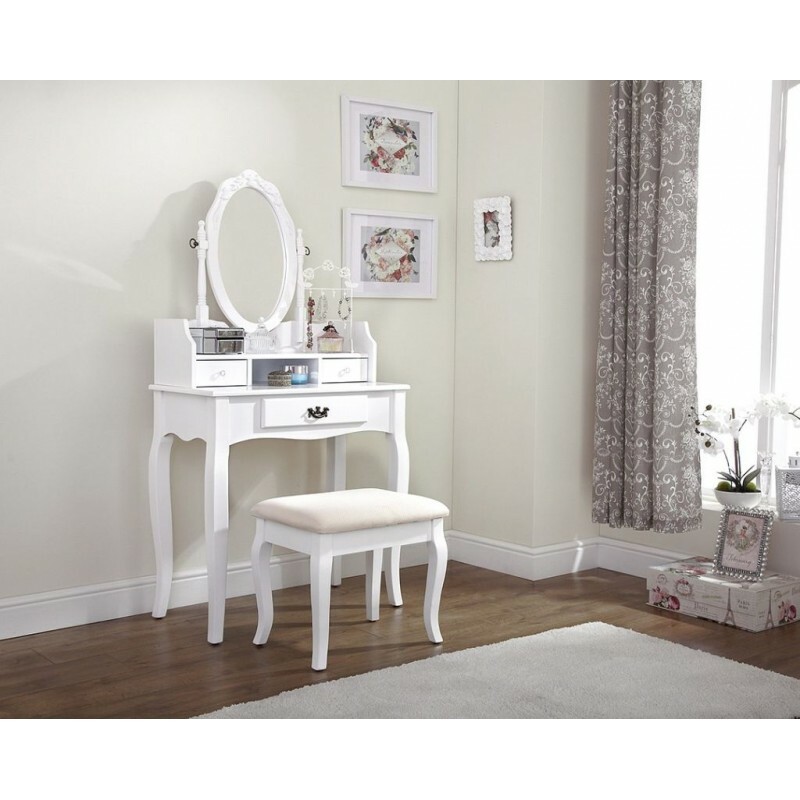 The Julia dressing table will compliment your bedroom and will create your very ..